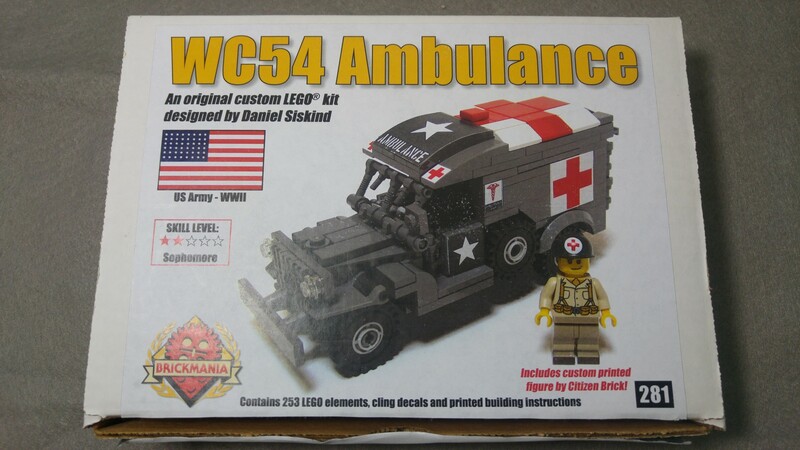 Taking from BrickMania’s description; The WC54 Ambulance was based on a specially converted Dodge 4×4 three quarter ton truck. It featured a specially smooth suspension, hard body construction and a special heater designed to keep patients and crew comfortable. 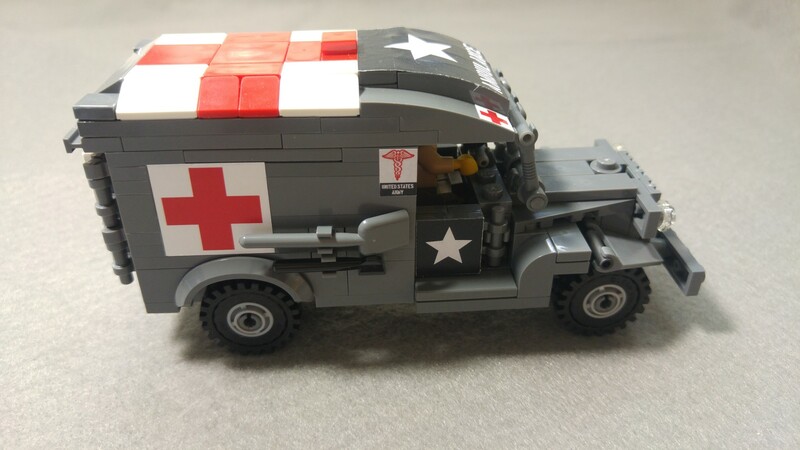 This was the a the main ambulance used by US forces in World War II in all areas of operation and continued service well into the Korean War. The kit is packaged in a white box. 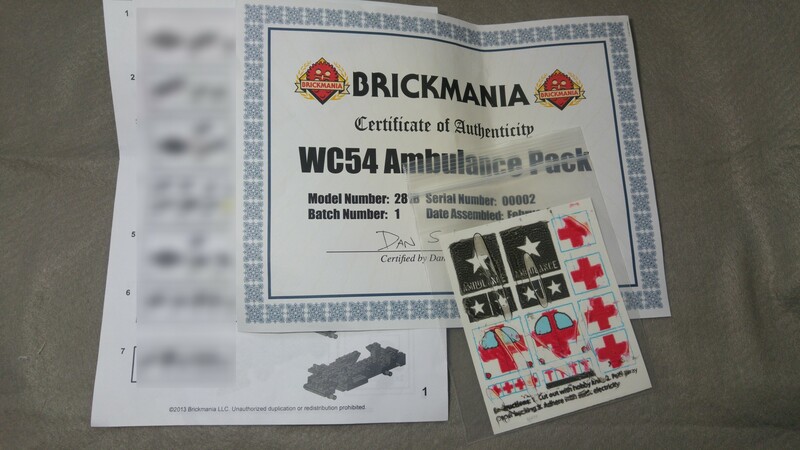 The box contains the following, a ziplock bag of the LEGO parts required for the kit, an instruction printout leaflet, a sticker sheet and certificate of authenticity of the kit. Below is the custom pad printed minifigure which comes with this set. 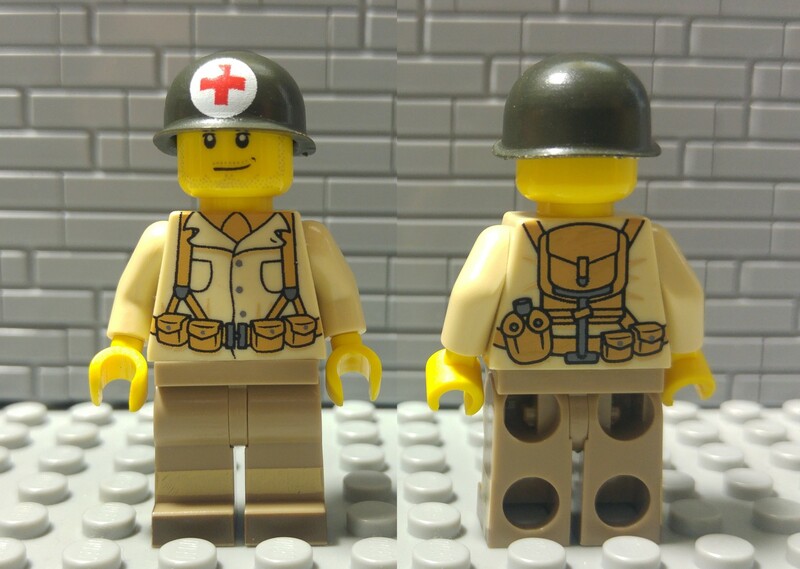 As indicated on the box, this is from Citizen Brick, he comes with 2 pot helmets from Brickarms, one a plain helmet the other has the medic cross on his helmet. 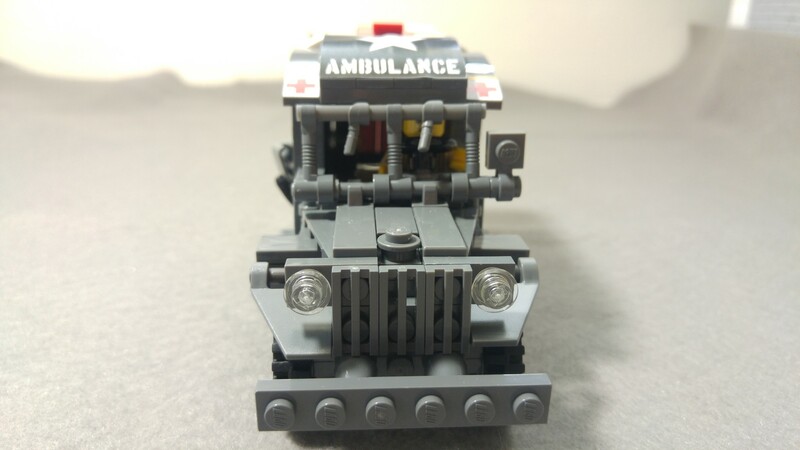 The ambulance is a real beauty. 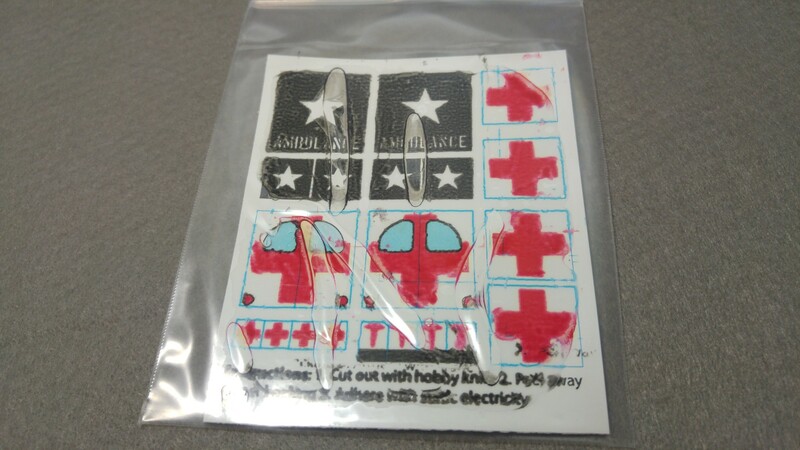 With the stickers added to the kit, it does add on the authenticity. 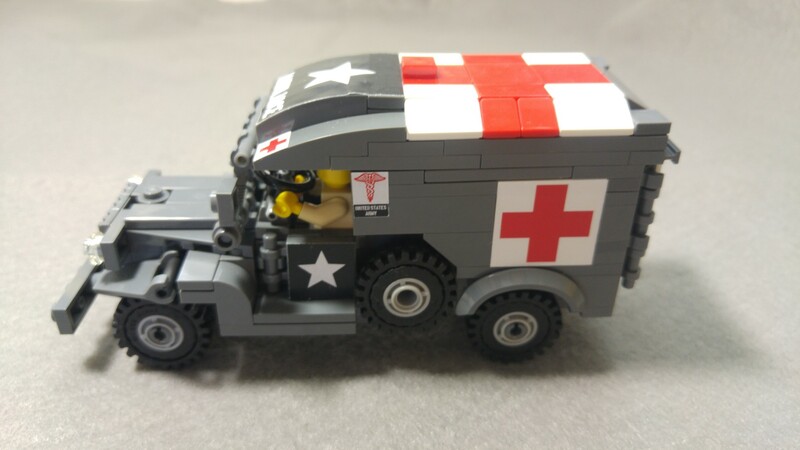 Compare this with the real world ambulance photos, it is accurately detailed. The back panels are 4×2 white tiles with stickers. This kit took less than 2 hours to complete. The final construction is very sturdy and can survive daily play-ability with no issues. 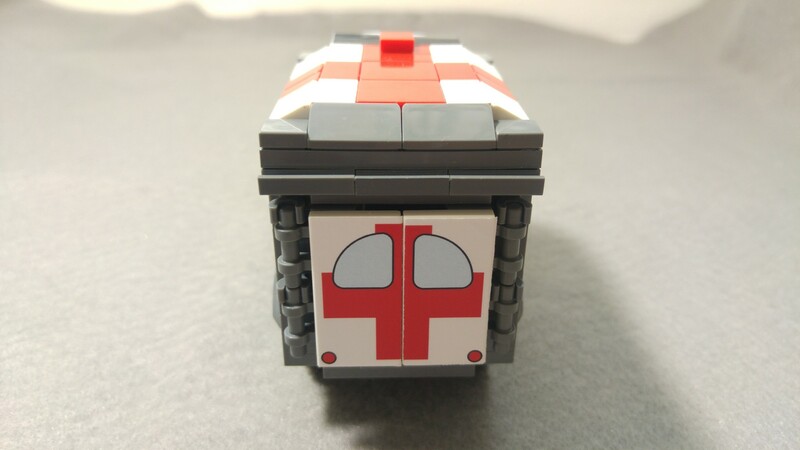 The kit has opening cab doors and back door and can fit a minfig into the cab, a LEGO stretcher can also fit into the rear of the ambulance and looking at the above photos between this LEGO custom vs the real ambulance it is a real beauty and closely replicated to the original. The Citizen Brick minifig is really a nice addition in this kit. However there were some issues with the current sticker sheet. As i got it second hand , the sticker sheet was in bad condition as was stuck on the plastic. 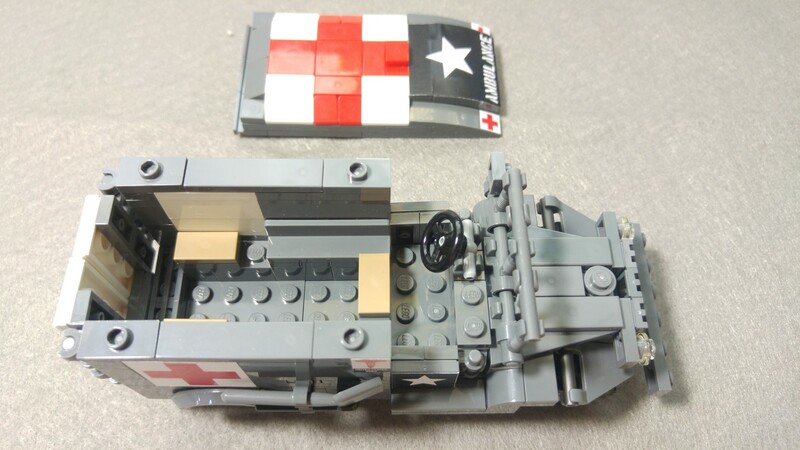 Overall its still a great piece for anyone who is into WWII vehicles built in Lego. Do check out another review on Brothers Brick on the following kit.